Animals from the Queens County Farm Museum were sent home with farm employees to be butchered and eaten. According to Kennon Kay, Director of Agriculture at the Queens County Farm Museum, a flock of wild mallards and resident farm animals (guinea hens, muscovy ducks, pekin ducks, domestic mallards, heritage breed ducks and roosters), were eating the crops at the farm, so a management decision was made to give these animals to some of the employees to bring home to butcher and eat. This, despite the fact that an offer had previously been made to bring these birds to an animal sanctuary where they would be safe and cared for. In addition to the fact that killing wild mallards is outright unlawful, and taking the farm’s animals for personal use, and profit of individual farm employees is theft and misappropriation of farm property, the slaughter of these farm animals, when a humane solution was available, is both senseless and cruel. The people responsible must be held accountable. Senator Frank Padavan, who claims to be an animal advocate, is the driving force behind the farm and has influence on how the farm is run. Senator Padavan’s office and ask that he intercede to stop this slaughter immediately and stop giving the birds to employees to butcher and eat. Demand for those involved to be fired and replaced with people who care about the farm animals. Ask that he work to ensure those involved in the unlawful capture and killing of wild mallards be prosecuted. (The farm is owned by NYC Parks and Recreation). The Farm Museum and demand they stop this slaughter now and in the future. BACKGROUND: House Bill 344 prohibits the cruel practice of devocalization, cutting vocal cords to stifle or remove an animal’s voice. It allows vocal cord surgery on dogs and cats only to treat disease, injury or birth defect. Dog breeders and Mass. Veterinary Medical Assn. (MVMA) have stepped up efforts to kill House Bill 344 — or amend it, so it is unenforceable. Both groups have a financial interest in devocalization. Breeders silence many dogs to keep them without complaints from authorities, or just to reap profits but not hear their animals. Vets perform it. * After approval by the MA House of Representatives in March — thanks to calls from animal advocates — House Bill 344 is now stalled in the Senate. * Unless the Senate approves it quickly, it won’t pass by July 31, 2010 and will effectively be dead. * If the Senate caves in to opposition, the law will allow and legitimize an act of cruelty. Innocent dogs and cats will continue to have their vocal cords cut for convenience and greed. The 200 MA vets who endorse House Bill 344 testify that devocalization poses grave risks, whether vocal cords are cut through the oral cavity or a neck incision. Some animals die horribly — like the little Pom who choked to death after devocalization by a licensed vet, who incredibly helped craft MVMA’s opposition to the bill! 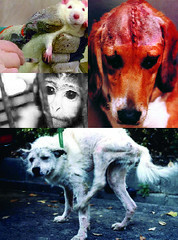 Others struggle to breathe, cough and gag uncontrollably, or choke on food and water the rest of their lives. Shelter executives testify: Devocalized animals are given up like any other, and barking does not force euthanasia. Instead of needless surgery, it is far more humane to rehome animals with guardians who provide the right environment, care, training, and acceptance of an animal’s natural behavior. Stella’s scars show the truth about devocalization surgery on dogs and cats. TAKE ACTION NOW TO SAVE THIS BILL! – Call the office of your State Senator; emails are usually disregarded. – Tell an aide you’re a constituent who wants House Bill 344 to pass by July as written. – Always say “as written,” to assure the language isn’t modified to put animals at risk. – State why the bill matters to you and that you’ll follow it closely. Each time, urge that House Bill 344 become law this session — as written. If you get voicemail, leave your name, address and short message of support for House Bill 344 as written. Then call again to speak with a person. Constituents of Senate President Therese Murray, call: 617-722-1500 Sen. Murray’s district: Barnstable, Bourne, Falmouth, Kingston, Pembroke, Plymouth, Plympton, Sandwich. Contact Senate President Murray. Ask her to move House Bill 344 to the floor quickly and ensure that the Senate approves it as written. Say why a strong, meaningful law banning devocalization is important to you. successfully fighting legislation to stop devocalization — cutting a dog or cat’s vocal cords to stifle or remove their voice. An Act Prohibiting Devocalization, House Bill 344, has been stalled in committee for more than three months. Without immediate action, this humane bill will die. STEP 1: CONTACT SPEAKER ROBERT DELEO TODAY! USE THE PHONE. Ask to speak to Speaker DeLeo’s aide and state your comments. Or, leave a voicemail. WRITE OR FAX. Do not call! We’ve been told non-MA calls can hurt the bill. State why this bill matters to you…and why it should be passed as written, without amendments by special interests that profit from devocalization. RE: Please support House Bill 344 and ensure its passage. Please ensure that House Bill 344, An Act Prohibiting Devocalization, passes this session. Special interests that profit from devocalization of dogs and cats want to dilute this humane legislation. I am counting on you to advocate for H.B. 344 — minus any amendments that permit the surgical removal of an animal’s voice. Devocalization does not benefit animals, but it does pose grave risks for them. One little Pom choked to death after a prominent MVMA veterinarian devocalized her. Others suffer infection, aspiration pneumonia, or breathing difficulties. Some gag on food and water the rest of their lives. House Bill 344 — as written — stops this unnecessary cruelty. It limits vocal cord surgery to three exclusively ethical situations: To treat disease, injury or congenital abnormality. Shelter executives testify that devocalized dogs and cats are abandoned just like any others. 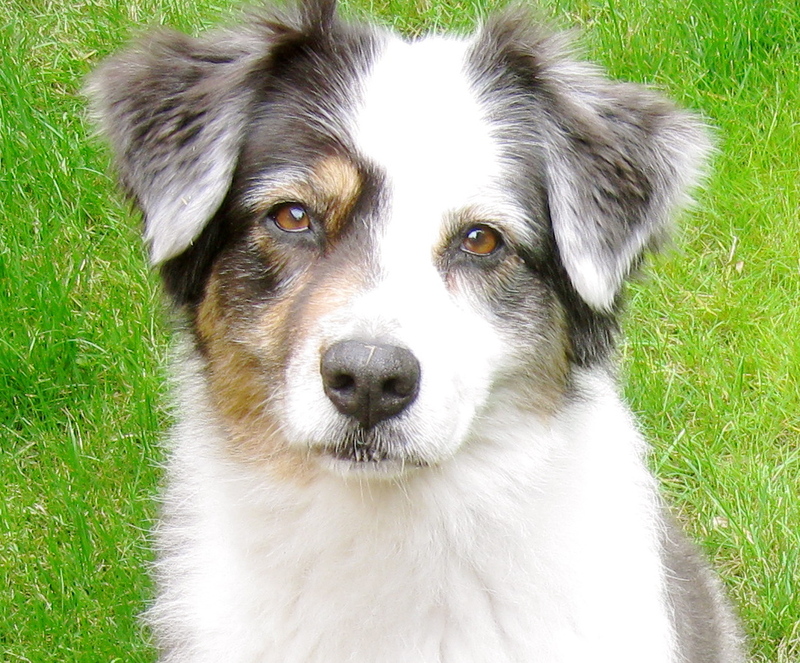 Tissue regrowth is common, subjecting animals to stress, pain and repeat surgeries. Caretakers unable to pay ongoing costs further jeopardize animals with surrender or euthanasia. Surgically silencing an animal for convenience or profit is an act of cruelty. Massachusetts can open the door for other states to introduce equally humane and responsible legislation. Please support this landmark bill to prohibit devocalization. – Say H.B. 344, An Act Prohibiting Devocalization is a front-burner issue for you! – Call again every 2 weeks for status of this bill and restate your support. devocalization — cutting a dog or cat’s vocal cords to suppress his voice. subjected to the pain, stress and repeated surgeries. want to hear their own animals. Dogs tend to bark more when kept in groups. $1,500+ to correct scar tissue that obstructed 50% of Stella’s airway. than 200 Massachusetts vets, and many animal shelters statewide. voice, animals will continue to be robbed of theirs. cigarettes.” He rarely even tries to bark anymore. Please MAIL a letter to the House Speaker of the Massachusetts legislature. inhumane, unethical practice that the global community frowns upon. SELECT THE SAMPLE LETTER TEXT BELOW & COPY IT. Change some words and add your own feelings. Sign the letter with your name/address/country. this barbaric practice to continue. should not tolerate this mutilating surgery. to aspiration pneumonia, difficulty swallowing and even death. 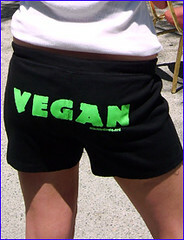 toward humane, responsible care of animals by prohibiting devocalization. Go to any link below and click EMAIL THIS LETTER, beneath the sample letter. Sign letter (personalize words if you have time) and hit send. 9/5/09: Save Gray Wolves So We Can Slaughter Them? Help Kinship Circle win $50,000! (each person can donate once daily and it counts as a unique donation). people to donate in any 24-hour period. $10 makes a difference. The contest is based on HOW MANY PEOPLE give. PLEASE KEEP KINSHIP CIRCLE IN MIND FOR YOUR YEAR-END GIVING! internet UNIDENTIFIED. However, KC supporters asked us to forward it. Hunt is scheduled for October 17 and October 24, 2009 at the Edward W.
southeast of the city of St. Petersburg, Florida. previously to habituate them to the site), making the hog’s set-up targets. it psychologically damaging child abuse that may do permanent harm. has enlisted some unlikely partners: children. rifle for a hog-hunting expedition on a state reserve in Manatee County. creepy,” she said. She learned to shoot during a recent camping trip. 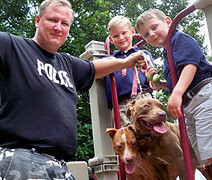 thing,” said Nick Atwood, spokesman for Animal Rights Foundation of Florida. Chairman/CEO, The Barreto Group, Inc.
Barreto was co-chair for finance, campaign of FL Governor Charles J. Crist. doing so far and get involved. LET’S WIN $50,000 FOR KINSHIP CIRCLE! NATIONAL PRIMATE WEEK BEGINS TOMORROW, OCTOBER 17! National Primate Liberation Week (October 17th – 24th) begins tomorrow. (Boston), Florida (Tampa & Gainesville), Washington (Seattle), Missouri (St.
the freedom of non-human primates. a difference for primates imprisoned in U.S. laboratories. big game hunting, mining, oil drilling, development, and ranching. burro herds from the Mojave Natural Preserve — unless you stop it. Idaho, a roundup of 400 horses left six dead and six foals orphaned. “elders,” horses crucial to herd survival. Red Desert Complex will lose 700 wild horses, including 250 foals. manage herds on the land, not in holding pens. non-compliance with laws meant to shield our treasured herds. Land Management, an agency that acts as a law unto itself. 2) Little No-Name Mattered. Demand Justice. back of what they say was a stinking, feces and urine soaked facility. cats who languish here until death…have no one to turn to, but YOU. of ineffective animal shelter staff and managers. circumstances he was brought to Prichard Animal Shelter. – Ask why he was denied medical attention and left to rot. anyone who ignored or contributed to this innocent creature’s death. 7/28/09: Puerto Rico – New Source For Primate Suffering? 7/10/09: Namibia Seal Slaughter Has One Buyer Left. Stop Him. Charlotte Bass Lilly, ARNO, writes: [August 14] between 6am and 9am, Dr.
euthanized all by lethal IV injection (with NO pre-sedation). kennels. Many [killed] were highly adoptable small and medium dogs, i.e. why any doctor of veterinary medicine would do such a thing. PLAYING POLITICS WITH ANIMALS’ LIVES? Reinstatement of Leeann Matherne as Jefferson Parish Animal Shelter Division director. LET DOGS BARK IN MA, GET HORSES OFF KILL FLOOR…. 3) Welcome Back The Animals Voice Magazine! An unfunded, all-volunteer network of Massachusetts pet advocates. dog a shot at a normal life. Without it, Stella would have died. hoarse and gags or coughs) is assumed to have laryngitis. animals at additional risk for surrender or euthanasia. dog” groups; show dog exhibitors; and uninformed or irresponsible guardians. adopter says she can’t bark or make nuanced sounds. She can only whine. Rep and Senator (not those in DC like Ted Kennedy). House Bill 344. Without your full contact info, the call won’t be counted. barking” would make the law unenforceable. * Ask them to check the status of the bill and get back to you. euthanization (via gun shot to the head) to help manage the herds. 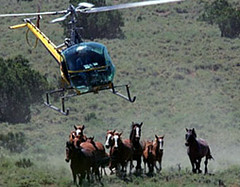 sanctuary to America’s wild horses…To make this happen, I need your help. of wild horses and burros at the expense of the American taxpayer. of managing healthy herds of wild horses and burros on Western rangelands. that forage depletion on public lands leaves cattle with nothing to eat. only consume a mere 5.6% of the forage consumed by livestock on BLM land. to taxpayers), and then offer them up for sale and adoption, or slaughter. as $700 million, otherwise spent on holding pens and pastures until 2020.
offers a long-term solution for these magnificent symbols of American freedom. (by Michael Budkie/SAEN), and a whole lot more. PRINT ON DEMAND PUBLISHING: You demand it. We print it. Per copy per issue. nutshell, that’s how we will stay in print this time. Former Belmont Stakes champions like Charismatic and War Emblem are in Japan with thousands more less famous U.S.-bred thoroughbreds exported overseas for breeding and racing. When spent, most are slaughtered. there is no plan for their retirement once racing or breeding days are over. winners Charismatic and War Emblem are at breeding farms in Japan right now. with water — frightened and uncertain about what is happening. He panics. slaughterhouse in Japan shows that no horses are safe from this fate. Ethics, and a Member of the Faculty of Theology in the University of Oxford. the Same God, and The Link Between Animal Abuse and Human Violence. 6) Taylor Swift Has A Voice — What About A Heart? Sign (personalize letter if you have time) and hit send. 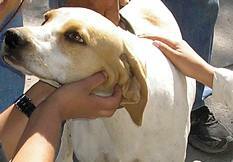 grateful and abused dogs.” Can you help Sallie and Ellie find forever? because…she couldn’t get to her babies.” says Petitt. loyal, loving dog to consider these two ladies. Protect the harbor seals of La Jolla: Help Seal the Deal. enjoyment and educational benefit of children” that could save the seals. into law. Problem: he is only signing bills that are fiscally related. this bill IS a fiscal issue because it saves San Diego money yearly. date in Superior Court, without your support and signature on the bill. with residents and visitors to San Diego! regulations to ensure no further harm to Tina, Jewel and Queenie. Welfare Act in the manner intended when passed four decades ago. powers over this situation, before it is too late. combined total of nearly 2,000 pounds in less than a year. veterinary care to the elephants and handle them safely and humanely. empowered to save these elephants, and demand that they do so. in which no criminal charges were filed by Escambia County Sheriff’s Office. no shelter and basically cooked to death. Barnes failed to file any criminal charges. does in Escambia County? I’d appreciate any assistance in this matter. BACKGROUND: Tony the Siberian Bengal tiger sadly resides at Tiger Truck Stop in Grosse Tete, LA, as an attraction for his owner Michael Sandlin. Wildlife and Fishery Dept. from granting him a permit to own Tony. When they gave Sandlin 30 days to find Tony a new home, he instead filed a lawsuit. tiger, instead of enforcing their own laws. So, Tony isn’t going anywhere. to my knees. There were 15 big trucks lined up nearby, all of them running. keep Tony in these wretched conditions indefinitely. TAKE ACTION: Speak up for Tony! Rockett of the rock group Poison. So far, Ms. Swift has not responded. should profit at the expense of animals brutalized, maimed, killed. a major player in the cruel trade in primates for research. experimentation is scientifically unnecessary and morally unacceptable. negative and detrimental impact on Puerto Rico’s image abroad. Vote For Historic Spay/Neuter Bill Is 6/30. Act Now. the shelters are faced with budget cuts and laying off staff. owners to spay and neuter their pets. Oppose the Governor’s plan to speed shelter killings to save money. Five members directly involved in working to negotiate California’s budget. * QUESTIONS? CONTACT ALERT WRITER. PLEASE DO NOT HIT REPLY. Natural Resources Committee on June 22, 2009. INCLUDE SUPPORT OF SB-428 in subject line. named in the original deed. through on an order to dredge the beach. the rookery and harbor seal behavior. The City wants to avoid dispersing the seals and dredging the beach. legislation would insure the protection of this beach for wildlife. the ecosystem of which seals play an important role in biological diversity. Thank you for considering a YES vote on SB-428. * QUESTIONS? CONTACT ALERT WRITERS DIRECTLY. several excerpts about Kinship Circle and the group’s founder, Brenda Shoss. for sending comments) always follows the sample letter. 3/7/09: Canada Seal Bill Dropped, No Debate. Demand The Killing End. seizure (animals sold to research) and gas chamber issues. A Los Angeles Animal Services Hearing Examiner found me to be NOT DANGEROUS. was fired by the Mayor of Los Angeles within days of condemning me. would not overturn the GM. My owner went to Superior Court to get the dept. Superior Court denial of my petition to overturn the GM’s decision. initial treatment. My fear is that his jaw is crumbling and he’s in pain. outdoors or to play with other dogs. the Board of Commission’s Agenda. 1. Ensure daylight off-premises exercise for Stu. Dorafshar (Stu’s caretaker during legal proceedings). 3. Initiate Stu’s complete dental exam and treatment by Dr. Tsugawa. error and that it should be considered by the Court of Appeals. 5. [Ask Ed Boks and Linda Barth] Stop trying to kill an innocent dog. department or close this case and return Stu home to Jeff. common/Cottage Street/West Main Street (in front of Library). a beautiful 1836 Colonial, 3 doors down from the town hall, 15 West Main St.
issue at 4:30PT (7:30 ET; 6:30 CT). tortured, just to profit from animal cruelty. animals tortured in these bullfights. longer authorise bullfighting spectacles in their cities as well. required for these to take place. elections. I’m also certain that tourism in Tavira would grow. 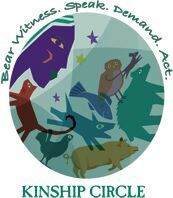 Contains sign-up form for this year’s event and listings from prior years. To increase media exposure…please sign up with the details of your events. leafleting, at demos, presentations, etc. Who Is Huntingdon Life Sciences? England and Scotland — the famous “3 Peaks” Challenge. important to show how incorrect such misperceptions are. Committee. We need your letters and support calls as soon as possible. California and for your desire to help decrease euthanasia in our state. 1. WRITE YOUR OWN BRIEF LETTER. your letterhead. You can print our letter template on to your letterhead. Include your address to have your voice accurately counted. **You only need to send your letter to Senator Florez’s office. 3. CALL THE 5 COMMITTEE MEMBERS TO ASK FOR THEIR SUPPORT. April 15th (details to follow). Help raise $5,000 to print Kinship Circle Fact Sheets. CAN YOU HELP FUND KINSHIP CIRCLE’S INVESTIGATIVE RESEARCH? future goals require extensive research, investigation and materials. Any amount you can donate helps. We are deeply grateful for your support! 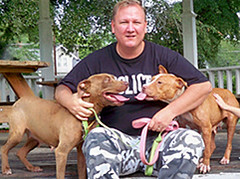 * Hurricane Gustav: Send volunteers to New Orleans to evacuate pets with their people. * Hurricane Ike: Coordinate volunteers to care for stranded animals. * Iowa Floods 2008: Rescue dogs, cats and even a few pigs displaced in the floods. research lab to their 1,000-acre refuge at The Kindness Ranch. penalties in federal and state cases. Enforcement Law, which passed in 2007! 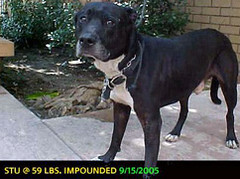 Ventura County Animal Shelter, which traumatized animals. * Sway POM Wonderful pomegranate juice to cease all animal testing. to pass the Louisiana Pet Evacuation Bill in the wake of Hurricane Katrina. email, fax or call principal contacts,” Emilie Bottiggi writes. allows us to coordinate in disasters, when time is of essence for animals. tax-deductible donation to Kinship Circle goes directly to work for animals. No goods or services are received in exchange for donations. Get animal news and the means to act, right in your email box! dogs by sending protest emails to organizations that support the Iditarod. Kinship Circle did not write/research this sample letter. ulcers versus zero percent pre-race. dog handler Mike Cranford in an article for Alaska’s Bush Blade Newspaper. During the race, dogs do not undergo veterinary exams at each checkpoint. often administer massive doses of antibiotics to keep them running. reported that dogs who don’t make the main team are never taken off-chain. arthritic dogs suffer terrible pain in the blistering cold. Please end your organization’s association with this horrific race. CHECK OUT KINSHIP CIRCLE…ALL OVER THE INTERNET!